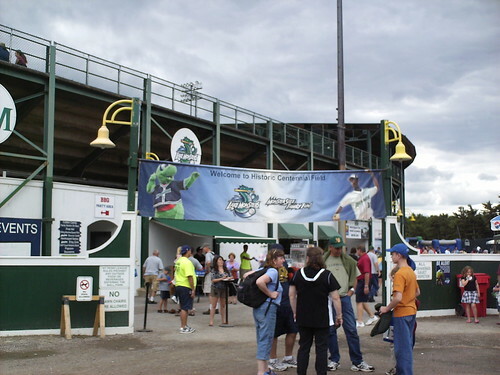 The view from outside Centennial Field. 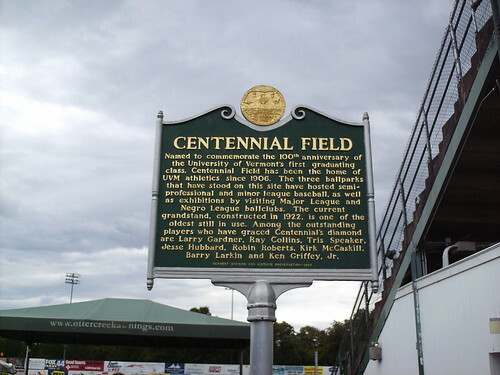 The field was laid out in 1906, making it one of the oldest parks in baseball. 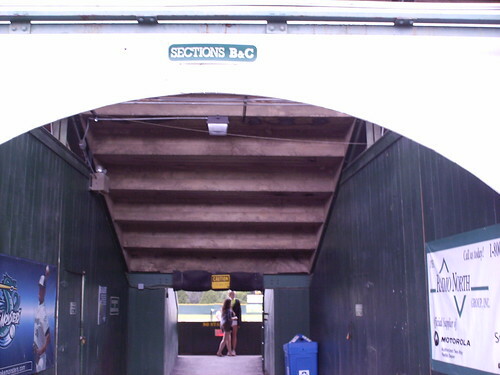 The wooden and concrete grandstand was built in 1922, and includes some very short entryways. 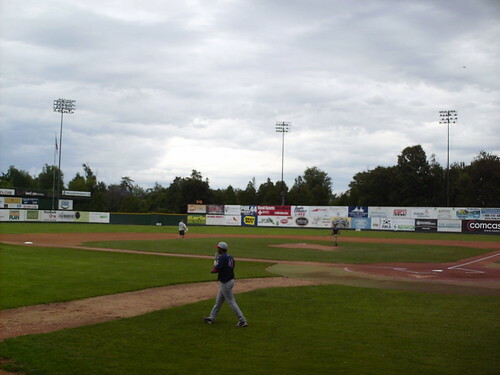 The view from behind home plate at Centennial field. 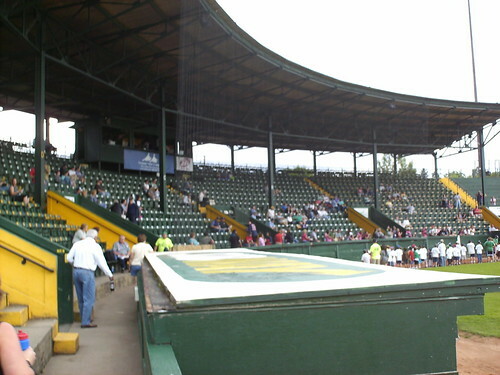 The grandstand and press box. 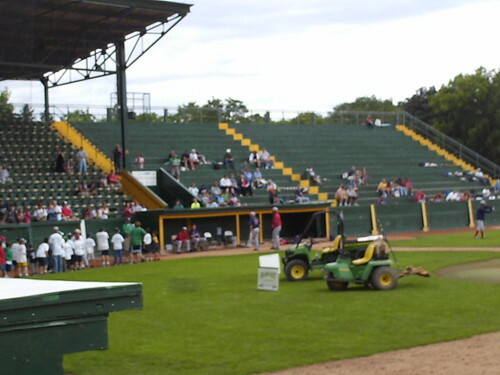 The "bleachers" down the lines are just concrete slabs. No aluminum bleachers or plastic seats, just the concrete poured in 1922. 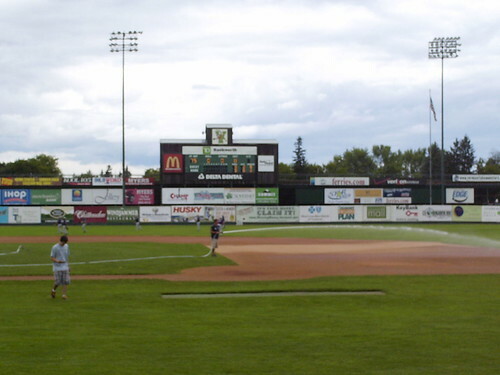 The view from down the first base line. The scoreboard is built into the back of the pressbox of the adjacent University of Vermont football field. 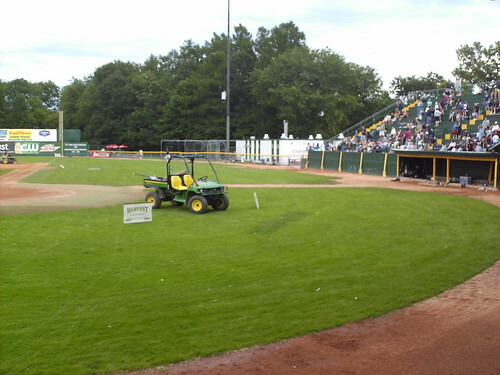 The field has a tremendous amount of foul territory behind the plate and down both foul lines. 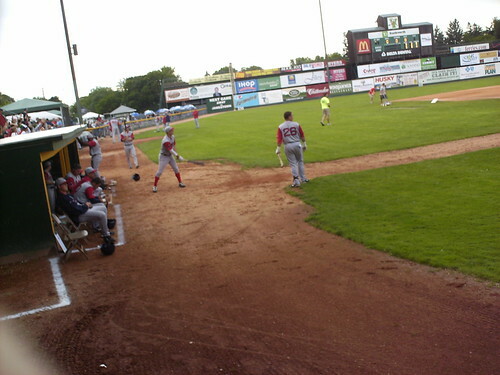 The Lowell Spinners on the field at Centennial Field. The dugouts are so small that the entire team cannot fit in at once.